The parish church of Kilmun is a fine nineteenth-century building, but it was built on the site of a series of earlier churches. 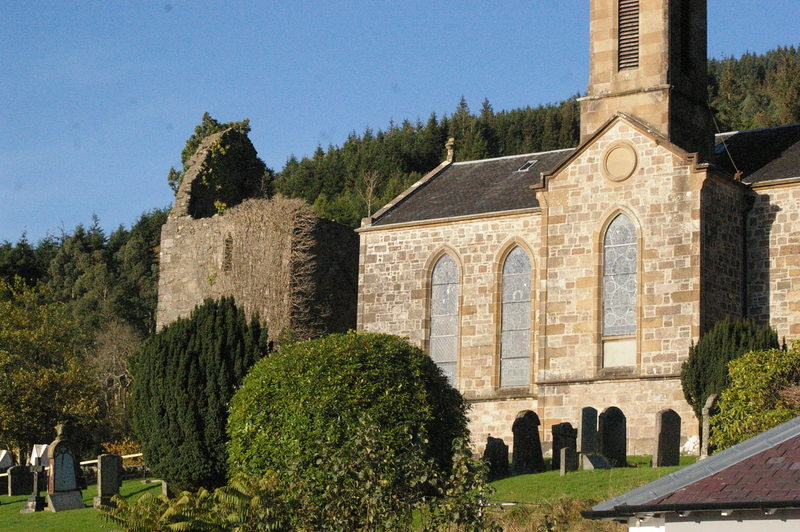 The fifteenth-century collegiate church of Kilmun (where a community of priests was headed by a ‘provost’) has mostly disappeared, but the tower which formed its western end still stands to a good height – though roofless and crumbling – to the west of the modern church. The fifteenth-century tower of the Collegiate Church stands beside the nineteenth-century parish kirk. 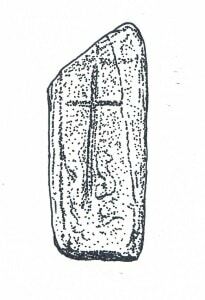 But there is evidence of a much earlier church at Kilmun, perhaps dating back to the period of the conversion to Christianity. A cross in the churchyard appears to be Early Christian in origin. See our post of February 2015 for other suggestive evidence of an early church at the site. 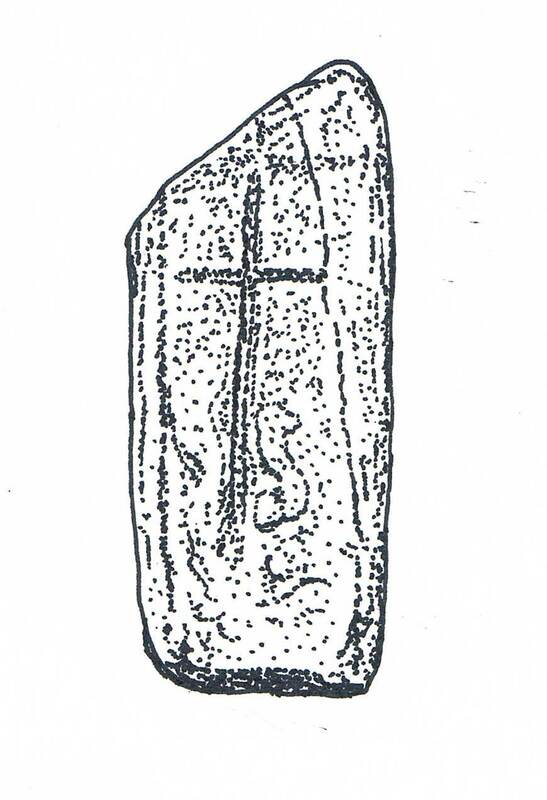 An early Christian cross-carved stone survives in Kilmun churchard. The name Kilmun is Gaelic, ‘the Church of [Saint] Munn’, and several medieval documents survive (A Life, some poetry, and some appearances in the stories of other saints) which shed light on the cult of St Munn. See his page for details. The earliest written record of this church appears in a charter of about 1230 x 1241, when Duncan son of Ferchar and his nephew, Laumannus (i.e. Lamont) son of Malcolm granted to the monks of Paisley Abbey ‘three half-penny lands which we and our predecessors have held at Kilmun, with fishings and all its other pertinents and boundaries, and with all rights which belong to us in the church of Kilmun by reason of our patronage’ (Paisley Register, 132). This Lamont control of Kilmun was to be taken over by the Campbell earls (later dukes) of Argyll. In the fifteenth century they founded a collegiate church here. They were the most powerful family in the west highlands of Scotland, and many of them were buried here in the medieval church and later in the family mausoleum which was built beside the post-Reformation rebuild of the church. The mausoleum still stands, and has recently been carefully restored. 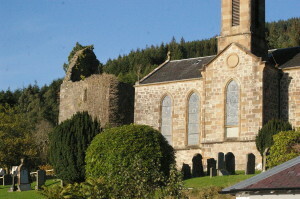 The restoration was part of a major project to improve the site, including repairs to the church and the creation of an impressive display in the Historic Kilmun Visitor Centre in the entrance to the church where visitors can learn more about this important site and see artefacts related to its past. An interesting and unusual feature of this church is its early twentieth-century water organ – an instrument powered by running water. You can watch a video about it, and hear Dr Frank Barclay playing it here. Getting there: for OS map of Kilmun and area, including roads, click on ‘View Larger Map’. Please note that the church is generally kept locked at the present, for lack of volunteers in the Visitor Centre attached to it. But you can still get in. Just contact Historic Kilmun organiser at 07501 764059, or email info@historickilmmun.org and ask for someone to be there to open up when you arrive.